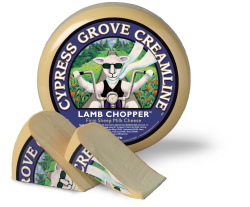 From Cypress Grove Chèvre in California, Lamb Chopper is a buttery, nutty gouda-style cheese made from organic sheep's milk. Its semi-firm texture and good meltability make this cheese great whether served at room temperature or cooked into a hot dish. The dry tanginess of this cheese matches well the high acid content of a Chenin Blanc, while the fruitiness nicely offsets the cheese's buttery flavor. 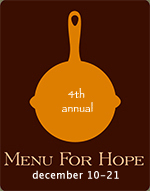 Cypress Grove's website also recommends pairing it with Sauvignon Blanc or Vouvray. 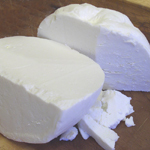 Manouri is a Greek cheese made from the whey left over from Feta production combined with sheep's milk cream. Seriously, what could be bad about that? 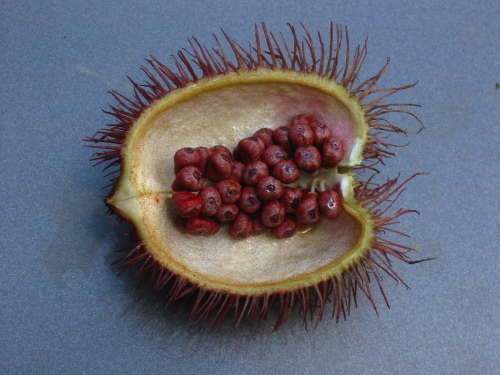 It is smooth, sweet and tangy, the texture is similar to cheesecake, and it is used in a lot of Greek pastries and desserts, often paired with sweet things like honey and/or fruit. Moschophilero is a Greek white grape varietal, similar to Muscat, with a complex bouquet and a nice balance between tangy acid and fruity sweetness. 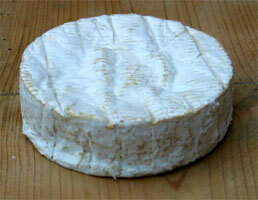 Keen's is one of England's few remaining farmstead cheddars. 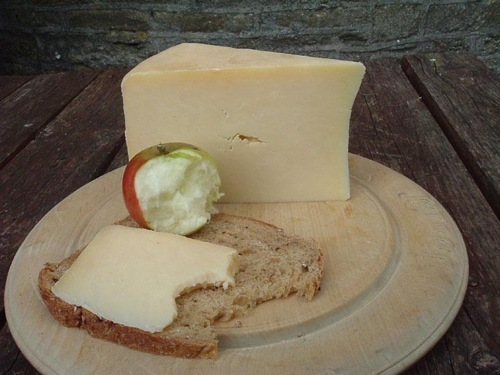 Produced in the West Country from raw cow's milk, it is a wonderfully crumbly, grassy cheddar with a smooth bite and a lingering finish. Pairing it with apples is a great idea, the latter's fruitiness serving to highlight the acidic twang of the cheddar. In fact last year I posted an entry about pairing cheese with apples, and the cheddar I chose then was Fiscalini Farms Cheddar, produced in California. 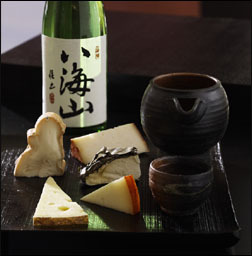 The apple it went best with was Mutsu, a green apple that's firm, tart, and sweet. The balance between sweet and tart is perfect in the Mutsu, and I like to think it complements that very same balance evident in all great cheddars.